This seems surprising, and unacceptable. This inquiry into a major political figure is occurring about 10-12 weeks (at most ) before the election. The probe was launched one week before a Bill to dis-establish the SFO was to be introduced into Parliament – and which has now had to be shelved, since it would have been inappropriate for New Zealand to vote to scrap an agency that has just begun to investigate it. Hardly surprising then, that suspicions might exist about the SFO’s reasons for launching the probe, and for delaying its outcome. To re-assure the public and to negate any suspicion that it is playing politics, surely the SFO’s are able to establish from ledgers, from cheque butts and from bank statements whether a prime facie case exists and the rationale behind it? Is there initial evidence to confirm that the moneys involved did not go into the NZF bank account, and/or were diverted to purposes unrelated to NZF business ? Yes or no? If there isn’t actionable evidence of wrong- doing, the SFO needs to say so loudly and promptly. Otherwise, it could easily look as though the SFO is engaged in a fishing expedition against its old Winebox nemesis, and is unconcerned if its inquiry should drag on and taint the outcome of the next election. The country can’t afford to be left in the dark about when the SFO intends to show us what level of damning evidence, if any, it has uncovered. No, she said without much conviction, she didn’t think that this episode dented the credibility of the SFO investigation into Peters. They’d said it wasn’t them – they hadn’t been leaking to the opposition – and she had no option, she said, but to take the SFO at their word. 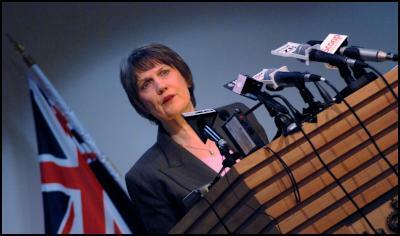 “That’s fundamental to the administration of law and order and justice in New Zealand.” She had only learned of the SFO investigation from the Attorney-General, she said, on the Wednesday, after Key had held his press conference. Ah, the gift and its status. The Jesuitical subtleties of the Peters affair probably require – at this stage – some background for any late beginners. For starters…how can and should you distinguish a donation to a party from a donation to its leader, and how would you separate both from any donations that have been made to a barrister who has, at times, worked for both? Under what conditions do such donations qualify as gifts made to the leader, and when, if ever, does the gift become his responsibility to declare ? And for the big prize…at what existential moment does a party donation morph into a personal gift, if you have happened to merely signal (and was it via a passive sign of appreciation, or via an active, soliciting request?) that yes, some money would be nice thanks, and very helpful. Later on, it transpires, the purpose of the donation has apparently been met – lets’ say that it was to help finance an electoral petition in Tauranga – but you don’t know if, when and how that transaction actually occurred. Does that sequence constitute a gift – and if so, when and to what entity should it be ascribed? Sound easy so far? Lets make it more complicated. Lets say the money is sought, received and acknowledged by a barrister with whom you – in line with the practice of other parties as well – operate under condition of anonymity as to the source of the money flows. And lets also assume that this barrister in turn operates via an instructing solicitor, at further arms’ length from you. Are you to be judged as the recipient of any gift that the barrister seeks, receives and administers, or is he? And if it is you, when did your personal responsibility for any one cheque in the overall money flow begin, and where does it end ? Discuss this among yourselves – and if, for your sins, you happen to be sitting on the privileges committee, please construct some workable and non-partisan rules about all of the above. Its very easy, Clark says, to be wise in hindsight. “ As in, why didn’t you come out of these two private conversations and make an announcement? “ She sighs. “ Why would you? “ Her attitude had been that it had been basically, a matter for Glenn and Peters to resolve. 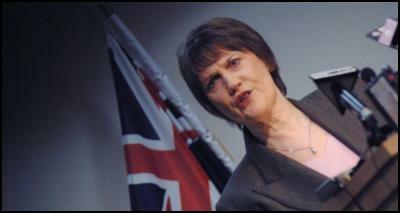 She is not responsible, she repeats for New Zealand First. She sought, and received, an assurance from her Minister. Obviously, conflicts now exist in the versions given by Glenn, and by Peters. In the Herald on the weekend, journalist Deborah Coddington cited prior examples of where Glenn’s recall has been found wanting – namely, over his claim that Clark was to make him Transport Minister, and on another issue with regard to the Exclusive Brethren. On Monday morning, Clark repeated those two examples. Was that designed to undermine Glenn’s credibility and bolster Peters’ case ? If the status of a gift is central to Peters’ obligations to declare it on the pecuniary interests register, isn’t it crucial to establish whether Peters solicited the money or not ? “That is certainly a contradiction,” Clark said. “ And as I said to you all last Thursday…. Mr Peters and his lawyer [Brian Henry] are adamant that Mr Henry made that call.” Similarly, she said, Peters and Henry had insisted to her last Friday that they could prove that any money paid into the Spencer Trust had gone on to New Zealand First. Unfortunately, the conflicts in the evidence put before the committee are likely to be reflected in its ultimate findings. Chances are, the privileges committee may split along party lines, and issue multiple reports. Both the SFO and the privileges committee have an interest in delay, if the evidence they can muster against Peters does not vindicate the massive buildup. As mentioned at the outset, these inquiries need to be carried out quickly and transparently – and the existence ( or otherwise) of a prima facie case made public by the SFO. It should not be a stretch for it to do so by the end of this week. Hidden at the end of the press conference was another gem. Before the election, Parliament will be asked to pass an Emissions Trading Scheme Bill – but without any costings included of some compensation measures being given to households to help meet the higher energy bills that the ETS will bring in its wake. Incredible. So if these amounts are to be left blank in the legislation, the ETS will be passed without any firm idea of how much it will cost ? “ Oh, I think you will find there’s a reasonable idea of what it will cost….” Clark refused to be drawn further down the track of saying how much home-owners can expect to receive. “ You should go and do a detailed interview with [ Climate Change Minister] David Parker, someone who’s specialized..” A clear understanding exists, she suggests, among the parties that Labour has negotiated with, as to the amounts involved. So the Greens have an idea of the level of compensation that households are likely to receive to protect them from the economic impact of the ETS. So do NZ First. However, these amounts won’t finally be sorted out until next year’s Budget – and then, and only then, will the public be told. It hasn’t been a very good week for due process and transparency – by the government, by the opposition or so far, by the Serious Fraud Office.